The Cytopathology Section of the Department of Pathology offers two ACGME approved one-year fellowship positions in Cytopathology. The program is based at Montefiore Medical Center, and draws material from three hospitals (1,500 beds) and a large ambulatory network. There is extensive clinical material and strong research programs: the Cytopathology Section accessioned over 60,000 specimens last year. Approximately 85% of the specimens were in gynecologic cytology (with a high abnormal rate). Among the nongynecologic specimens (more than 10,000) there were approximately 3,000 aspiration biopsies from superficial and deep locations. 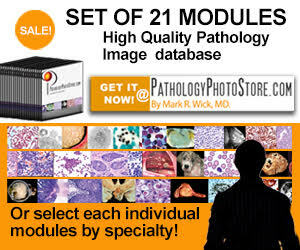 The program is staffed by six board certified cytopathologists. The fellows receive personal guidance and gain experience in diagnostic evaluation of all cytologic specimens with histologic correlations, hands on performance of aspiration biopsies of palpable lesions and evaluation of deep aspirates, we are also starting out ultrasound guided FNA service that will be performed by pathologists. The fellows participate in the programs strong research programs, which include immunocytochemistry, in situ hybridization, translational and molecular genetics. There is full access to the department's large surgical pathology case file and our collection of cytopathology teaching sets. The fellows participate in the Progressive Evaluation of Competency (PEC) exams. Requirements: MD degree or equivalent, and Certification or Board eligibility in Anatomic Pathology, or Anatomic and Clinical Pathology. Three letters of recommendation, including a letter from Program Director, Copy of Steps 1, 2 and 3 passing score. Stipend is dependent upon level of training. PGY-5: $70,000 – PGY-6: $71,900. This is a one-year ACGME-approved fellowship program in Hematopathology. For over 17 years, we have been providing excellent materials and have instructors known for their highly personal, one-on-one teaching approach. The overall goal of this program is to develop the competencies needed to become a laboratory director in hematology. The Hematology program represents advanced training for individuals who have already completed significant training in Anatomic and/or Clinical Pathology. In this Hematopathology Fellowship, trainees will be responsible for in-depth study of the principles, applications and clinical relevancy of all tests performed in our affiliated laboratories as well as those sent to reference laboratories. They will be expected to be able to interpret tests, apply quality assurance principles and become proficient in special skills such as light microscopy and flow cytometry. On the Surgical Pathology Service, the General Pathology Residents contacts the Hematopathology Fellow in order to review and discuss cases with a high probability of an unsuspected lymphoma/leukemia; if this seems likely, then these cases are transferred to the Hematopathology Service for further evaluation. In the Clinical Pathology Laboratories, Hematopathology Fellows answer front-line questions from clinicians with back-up support from the Laboratory Director. The Hematopathology Fellow participates in conferences, obtains information from, and reports diagnoses to clinical colleagues in Adult Oncology, Adult Hematology and Pediatric Hematology-Oncology. 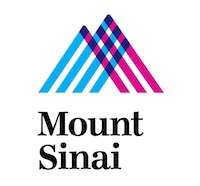 Einstein/Montefiore are NIH-designated centers for oncology and sickle cell disease. The Hematopathology faculty has broad expertise in teaching morphology, molecular diagnosis, immunohistochemistry, flow cytometry, hemoglobinopathies, coagulation, classical and molecular cytogenetics, lab management and other aspects of laboratory hematology. Mastery of diagnostic hemopathology and molecular pathology with research leading to publication is strongly encouraged. The fellows will achieve a solid base of competencies to pursue an academic or private practice career. Applicants must be eligible for AP or AP/CP Board certification. Appointment is for one year. Salary based on schedule for residents. CAP Standardized application for Pathology fellowships, Curriculum vitae, 3 letters of recommendation, Brief statement of career goals, and transcript of USMLE scores. The Department of Pathology at MMC offers one ACGME approved fellowship position in Women's Health Pathology. The one-year program, based at Montefiore Medical Center-Weiler Division, draws diagnostic material from the three hospital divisions of the Medical Center (1,500 beds) as well as a large ambulatory network. The diversity of the specimens enables the fellow to have in-depth exposure to and comprehensive training in gynecologic, breast and perinatal pathology, with over 1000 perinatal specimens, 16,000 gynecologic specimens and approximately 3000 breast specimens accessioned in the Pathology department last year. Upon completing the fellowship, the fellow will be prepared to assume the role of a sub-specialty consultant in academic or private practice. The fellowship training includes signing-out of cases with faculty, involvement on frozen section decisions, participation in intra-and inter-departmental conferences, journal clubs and teaching of residents and medical students. Fellows are encouraged to participate in the clinically relevant research. The program is staffed by seven surgical pathologists who form the core of the subspecialty group for Women's Health Pathology at MMC, and include attendings with subspecialty expertise in the areas of Gynecological Pathology, Perinatal Pathology and Breast Pathology. Requirements: MD degree or equivalent, Board eligible/certified in AP or AP/CP. Stipend: Dependent upon level of training. Application: An application form can be requested from Debrah Negron. Please send completed application form, curriculum vitae, a brief statement of professional goals and 3 letters of reference (hard copy or by email) directly to Debrah Negron (fellowship coordinator). Letters of reference sent by email should be in PDF format with a signature. Description: The Department of Pathology of Columbia University offers a one-year fellowship in general surgical pathology. This is an attending-level appointment as an Assistant Attending Pathologist at New York-Presbyterian Hospital, Columbia University Medical Center, and has full sign-out privileges and responsibilities. The fellowship is designed to bring the fellow from the level of senior resident to attending pathologist by giving the fellow graded clinical responsibility for gross room supervision, microscopic sign-out of cases grossed by junior level residents, and frozen section interpretation. The fellow is supervised and guided by senior level attending pathologists. The Division of general surgical pathology receives more than 34,000 adult and pediatric surgical specimens of wide variety. Excellent opportunities exist for clinical, translational, and basic science research in the Department of Pathology as well as in collaboration with other clinical departments. Requirements: The candidate must have completed an approved anatomic and clinical pathology training program. A New York State medical license is required for appointment as an Assistant Attending at New York-Presbyterian Hospital; this allows the fellow to independently sign-out cases. Roswell Park Comprehensive Cancer Center offers an ACGME-accredited one-year Fellowship in Oncologic Surgical Pathology. The Oncologic Surgical Pathology Fellowship provides advanced training in neoplastic diseases of GYN, Breast, GI, GU, Pulmonary, Head and Neck, Endocrine, Skin, Brain, Bone, Soft Tissue, and Hematopoietic systems. Fellows will spend time on the surgical pathology service and have protected time for research. There is an opportunity to gain additional skills in diagnostic molecular pathology or in one of the world's best flow cytometry labs, and also in solid tumor cytogenetics with capabilities in FISH and interphase analysis during your elective time. Elective rotations in cytopathology and hematopathology are also possible. Fellows are complemented by Residents and Medical Students, enabling ample opportunity for teaching and graduated responsibility. The Fellows are an integral part of patient care at RPCI, and their participation in disease site specific multidisciplinary tumor boards, while serving an educational purpose, also ensures the optimum quality of patient care. Seminars from Faculty within and outside the Department will supplement the Fellow's education. The complexity of cases, coupled with the large volume of cases allows Fellows to become proficient in the diagnosis of neoplastic diseases. Fellowships may be individualized, and a second year as Chief Fellow is possible. Requirements: Because of the demanding nature of the diseases encountered, only Residents who will complete their training in an ACGME-accredited Program by the Fellowship start date will be considered. In addition, candidates must be eligible for a New York State Medical License or Limited Permit. Stipends: Stipends commensurate with postgraduate year of training. Description: This ACGME accredited program is at Stony Brook University Hospital, located on the north shore of Long Island, 55 miles east of New York City. This one-year fellowship will provide an intensive experience in general surgical pathology and subspecialties including breast, GYN, GI, pulmonary, renal, neuropathology and placental pathology. The fellow will become familiar with the innovative use of technology to improve workflow and quality assurance/improvement within surgical pathology. The service includes approximately 27,000 cases per year, encompassing a wide variety of organ systems and subspecialties. The fellow is involved in the performance and interpretation of frozen sections, supervision of the gross room, sign out of cases and presentation at conferences. He/she will have the opportunity to teach residents and medical students and will have outstanding opportunities to participate in translational research. Requirements: 4 years of ACGME approved AP/CP training or 3 years of AP training. At a minimum the applicant must have completed all USMLE steps and be eligible to take ABP board examinations. Contact Information: Ms. Kathleen Pitisi, MBA; Program Coordinator (631) 444 2224, Email: kathleen.pitisi@stonybrookmedicine.edu. For further information, contact: Jingxuan Liu, MD, PhD, Director of Surgical Pathology Fellowship, Email: Jingxuan.liu@stonybrookmedicine.edu. Description: The Breast and Breast/GYN Pathology Fellowship at the University of Rochester Medical Center are one-year programs that provide thorough exposure to diagnostic surgical pathology and multidisciplinary management of Breast and GYN disease. The main objective of the program is for the fellow to develop proficient diagnostic skills, an in-depth understanding of the implications of pathologic diagnoses in the management of cancer patients and a unique translational research experience. The fellow takes an active role in all diagnostic services either in Breast or in Breast and GYN, including intraoperative gross examinations, frozen sections and sign out of in-house and outside consultations. Based on evaluation of the candidate’s proficiency and performance, an opportunity for independent sign out is possible. To develop an insight into the multidisciplinary team approach to patient care, the fellow also participates at weekly multidisciplinary conferences and rotates in other disciplines including imaging, surgery, medical oncology and radiation oncology at our Wilmot Cancer Institute. Elective rotations in other pathology subspecialties are also available for those interested. Clinical and/or translational research projects are tailored to meet the individual's interests and the fellow is encouraged to present his/her work at a national meeting. Requirements: Applicants must be board certified or eligible in Anatomic Pathology or Anatomic and Clinical Pathology and be eligible for a license to practice medicine in New York State. Number of appointments: One position is available each academic year (fellow’s choice of either Breast, or Breast and GYN). Setting: The URMC is an integrated academic health center that includes a wide network of hospitals and centers across Western New York. 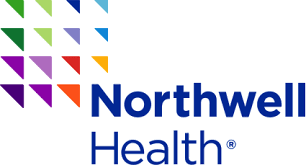 The fellow’s primary responsibilities are at Strong Memorial Hospital, an 830-bed tertiary care facility including a Children’s Hospital, and Highland Hospital, an affiliate of URMC known for its comprehensive Women’s Services and as Rochester’s leading Community Hospital. Rochester is a midsize city in Western New York with miles of lakeshore, endless summer festivals and winter sports. Located in the Finger Lakes Region, Rochester offers its residents a variety of outdoor activities. As the home for the internationally known Eastman School of Music, Rochester, it is also an ideal place for music lovers. Application: Applications should be submitted before December 31 of the previous year and must include the curriculum vitae, personal statement, three letters of recommendation, USMLE score report and ECFMG certificate (international). Faculty: The breast pathology and GYN subspecialties are comprised of 5 breast pathologists under the leadership of Dr. David Hicks, an internationally recognized breast pathologist, and 8 GYN pathologists. Our subspecialties are committed to providing outstanding diagnostic services for excellent patient care and preparing the next generation of pathologists to be experts in the challenging fields of Breast and GYN pathology. Now accepting applications for 2020-2021 and 2021-2022.